I was visiting Point Pelee National Park and enjoying the very last Sunday of summer. I was walking along the marsh path when I saw him, he seemed to be waiting for someone to take his picture. Just an all around very good picture! 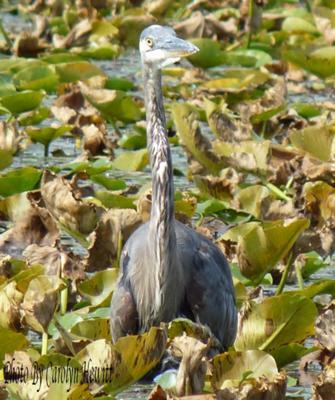 This Blue Heron looks like he has been diving for fish - I like this picture, the bird looks like he has a lot of personality.